If you work for a Value Added Reseller (VAR) as an engineer, the value being added is YOU. What is VAR life? Projects, customer meetings, deadlines, bills of materials, RFP responses, and trying to turn the promises of sales unicorns into an actual design you can install for the customer. We’ve worked for VARs at one time or another, as has our guest Eric Gullickson, who is now Enterprise Architect at Vortex Optics. 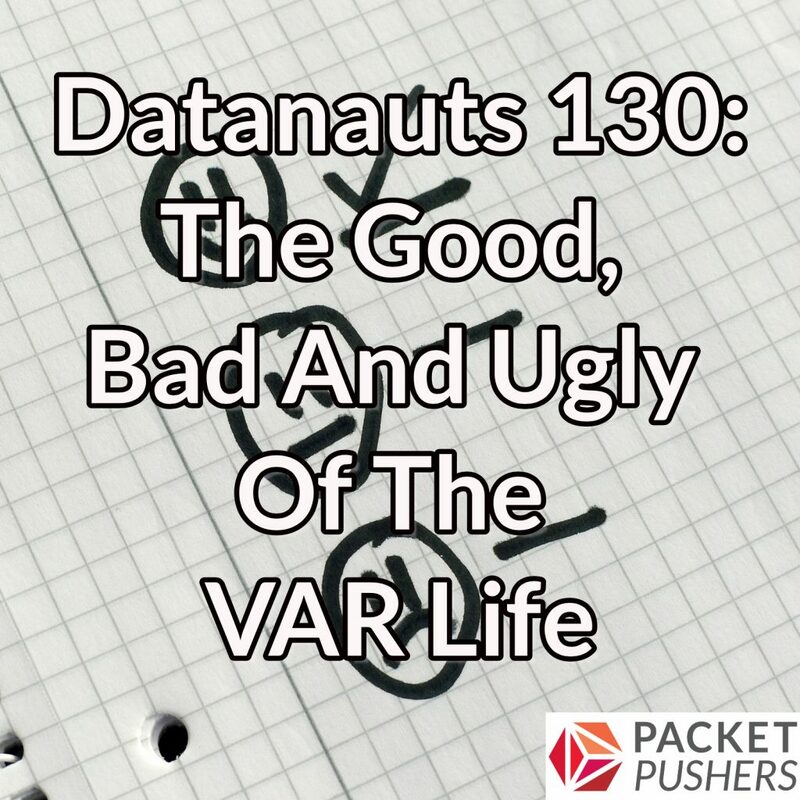 We thought we’d run down the good, the bad, and the ugly of the VAR life on this episode of the Datanauts podcast. We start the show by distinguishing the different roles a VAR can have. Then we dive into the good, which includes access to new technology, paid certifications, a flexible work schedule, and exposure to a wide variety of businesses and operating environments. For the bad, the Datanauts and Eric discuss the blunt reality that you have to generate profit, and you may find yourself having to navigate the competing interests of manufacturers, sales, distributors, and customers. On the ugly side, we swap stories about greasy salespeople, bad project management, and other nightmares.